Show your support for the Union Marocaine du Travail (UMT) in their fight to stop limits on the right to strike and push for constructive dialogue with the government over the economy, jobs and wages. The UMT is seriously concerned about the atmosphere of unprecedented frustration and tension caused by unpopular government policies and by successive attacks on trade union rights by the authorities. Please show your support and solidarity by sending a letter to prime minister Saad Eddin Othmani. 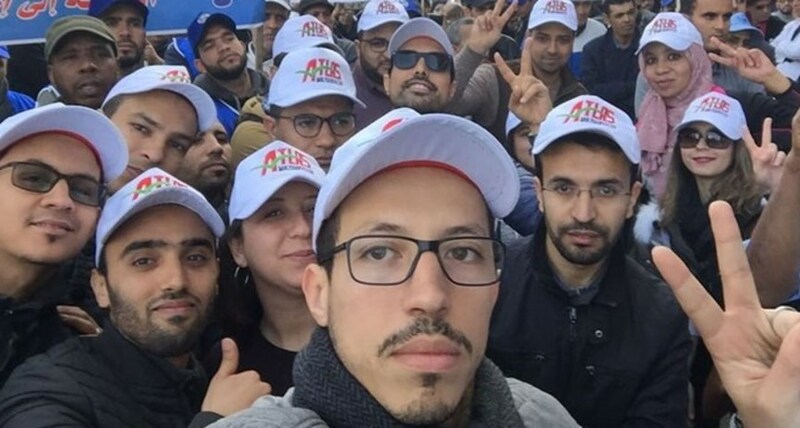 Trade union rights violations are being perpetuated in all areas in Morocco, government policies have undermined the purchasing power of the workers, and wages and social dialogue have been frozen. A new draft law would limit the constitutional right to strike and bind unions to negotiations in a manner that would make it impossible for workers to exercise their right to strike, as well as interfere in the internal affairs of trade unions. This is contrary to the core labour standards of the International Labour Organisation (ILO). On 24 February, a national strike in Morocco received strong backing from workers and the public throughout the country. Show your support by getting involved via the options below. عند تحديدك للمربع فإنك توافق على استلام رسائل البريد الإلكتروني المتعلقة بهذه الحملة من الـITF. يمكنك إلغاء اشتراكك في هذه القائمة البريدية في أي وقت تشاء. للقيام بذلك، ببساطة قم بإلغاء الاشتراك من خلال الجزء السفلي الموجود في أي بريد إلكتروني، أو أرسل بريد إلكتروني إلى unsubscribe@itf.org.uk . لن يتم استخدام عنوان بريدك الإلكتروني لأي غرض آخر. للمزيد من المعلومات حول كيفية قيام الـITF بالتعامل مع بياناتك الشخصية، اقرأ سياسة الخصوصية. Stay informed - sign up to receive email updates about this campaign.